Welcome back. Do you like games? I mean those online games that are supposed to challenge your mind, the so-called Brain Games? Since I don’t particularly like games, I never tried any of the free ones, like those on the AARP website, and I’ve never paid any attention to the commercially pitched games that are purported to improve one’s cognitive ability. Well, a recent Berkeley Wellness Alert caused me to pay attention. 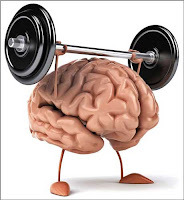 The Wellness Alert reviewed an October 2014 “Consensus Report” in which nearly 70 leading cognitive psychologists and neuroscientists expressed skepticism about brain training and how it’s being marketed. I’ll get into that, but there’s more. Because the Wellness Alert was over a year late with its alert, I was curious and searched a bit. Sure enough, last February, there was a rebuttal letter, “Cognitive Training Data,” signed by over 100 neuroscientists, psychologists and other experts in neural plasticity. And even more to my liking, last April, the Institute of Medicine of the National Academies released a major report on cognitive aging that addressed the issue. Now I’ll get into all three in the order they appeared. To produce the Consensus Report, the Stanford Center on Longevity in California and Max Planck Institute for Human Development in Germany assembled the signatory psychologists and neuroscientists to share views about brain games. -Much more research is needed to understand whether and what types of challenges and engagements benefit cognitive functioning in everyday life. -A single study conducted by researchers with financial interests in the product is not enough to assume that a game has been rigorously examined. -No study has demonstrated that brain games can cure or prevent Alzheimer’s disease or other forms of dementia. The report’s summary statement took a sharp tone: We object to the claim that brain games offer consumers a scientifically grounded avenue to reduce or reverse cognitive decline when there is no compelling scientific evidence to date that they do. Signers of the “Cognitive Training Data,” an open letter response, agreed strongly or substantially with parts of the Consensus Report; yet they disagreed strongly that the Consensus Report was a consensus from the scientific community. More to the point, they felt strongly that evidence has shown certain cognitive training regimens can improve cognitive function, including in ways that generalize to everyday life. 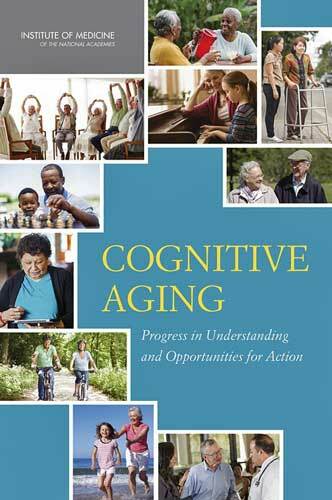 The Institute of Medicine’s report, Cognitive Aging: Progress in Understanding and Opportunities for Action, assesses the state of knowledge about cognitive aging--how memory, decision making, processing speed, wisdom and learning change with age. The discussion about brain games is only a few pages of a chapter on cognitive aging interventions in the 318-page report. The authors conclude that cognitive training is promising--studies have shown that older adults can improve on trained abilities and that improvements on the tasks can be maintained over time. On the other hand, studies of the transfer of training effects to other tasks have had mixed results, with few extending to tasks that are dissimilar to the training tasks (including transfer to real-world tasks and skills). They caution that, as developers of cognitive training products strive to demonstrate the benefits of these products in real-life situations, claims regarding the effectiveness will require careful evaluation by consumers and regulatory reviewers. It would seem that, if you enjoy playing brain games, have fun! If you’re playing because you think it improves your cognitive ability to do more than play the games better or accomplish similar tasks, that may be wishful thinking. Thanks for stopping by.